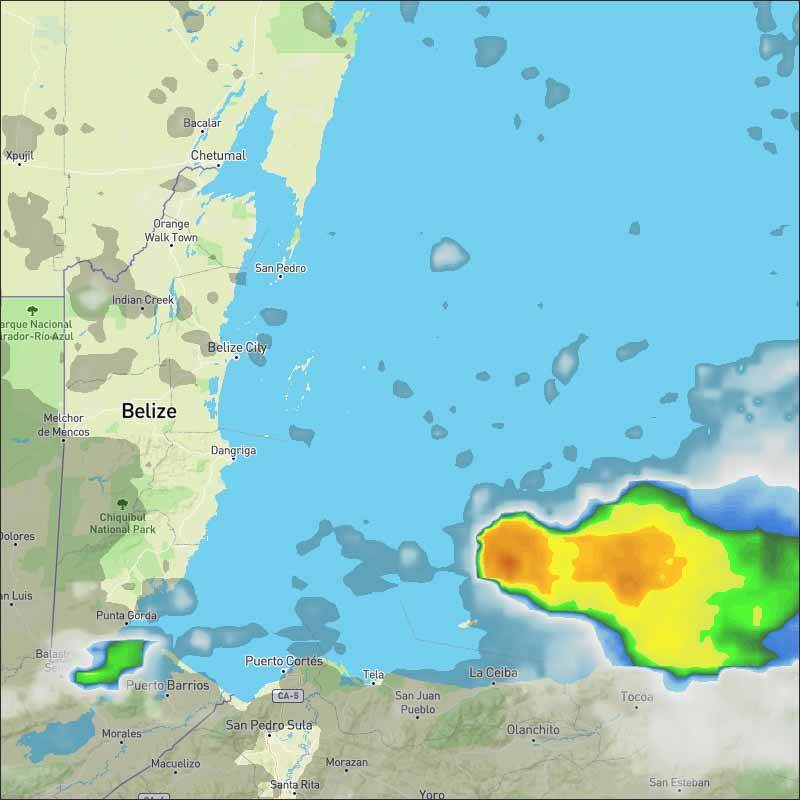 Belize NMS: A warm and relatively moist easterly airflow will dominate our weather. 24-hour forecast: Sunny with some cloudy spells today and cloudy at times tonight. A few showers or isolated thunderstorms will occur mostly along the coast this morning and tonight and over inland areas after mid-morning today. General Outlook: For Tuesday and Tuesday night is for cloudy skies with some showers and a few thunderstorms over most areas. 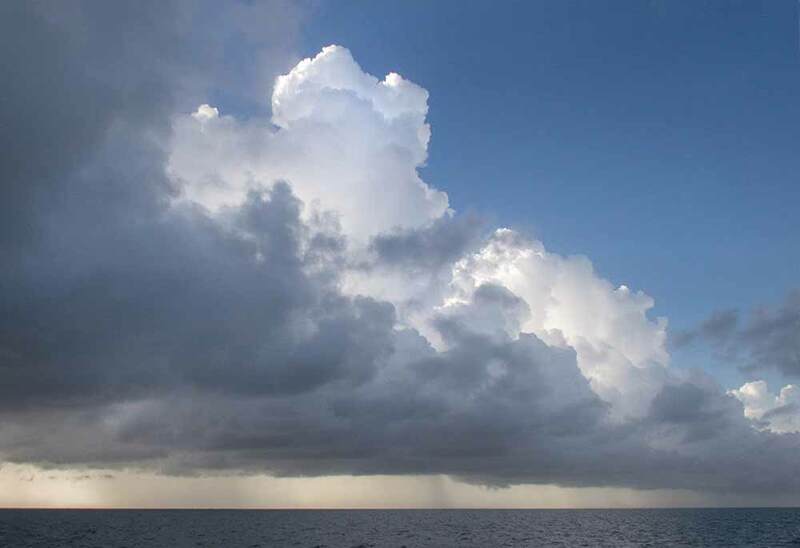 Today E-NE 5-15 kts Light Chop-Choppy 3-5 ft A FEW SHOWERS OR ISOLATED THUNDERSTORMS. Tonight E 10-20 kts Choppy 3-5 ft A FEW SHOWERS OR ISOLATED THUNDERSTORMS. Tomorrow E-SE 10-20 kts Moderate 4-6 ft SOME SHOWERS AND A FEW THUNDERSTORMS MOST AREAS. Outlook E-SE 10-20 kts Moderate-Rough 4-7 ft SOME SHOWERS AND A FEW THUNDERSTORMS. Two tropical waves will affect the Lesser Antilles over the next few days. A mid to upper level trough extends from 23N66W to the Mona Passage. 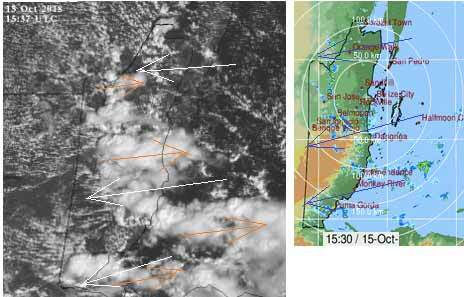 An area of scattered moderate convection extends from the north coast of western Puerto Rico to 21N between 66W-68W. Isolated showers prevail from 14N-17N between 65W-69W. 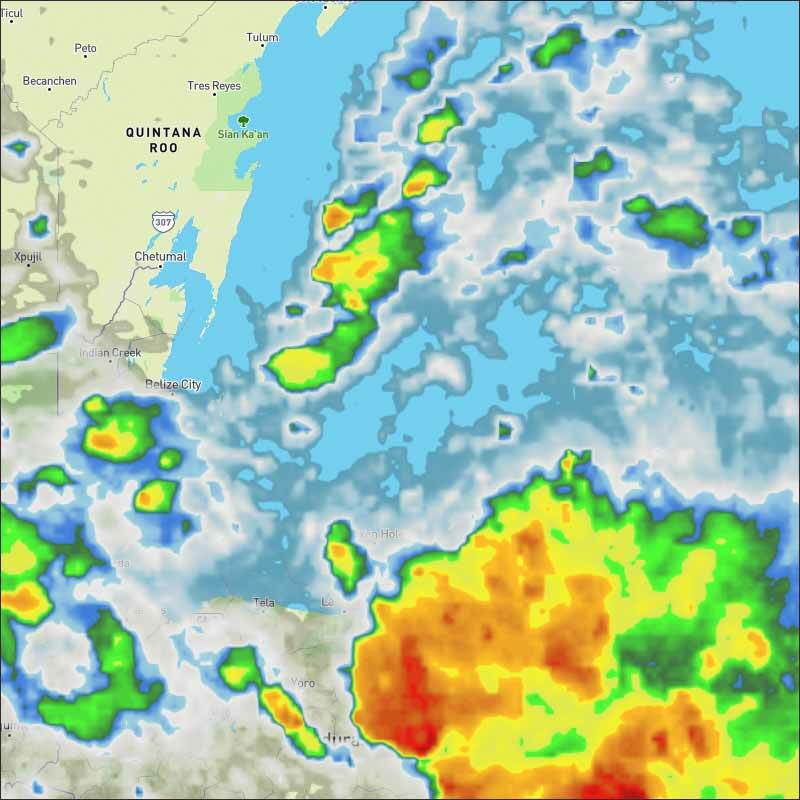 Elsewhere, scattered showers are within 60 nm of the northwest coast of Venezuela and the northeast coast of Colombia. On Ambergris Caye this morning the wind is from the East at 10 mph. It's sunny with early morning showers. Today's expected high temperature is 88 f.
Our weather getting back to normal now after that storm. Easterly chunky cloud coming in from the Caribbean, some of it clashing with high level from the west. Looks as if there will be significant rain today, bands of rain coming in, a fair amount of cloud, occasional patches of sunshine. The Cloud and Rain picture. 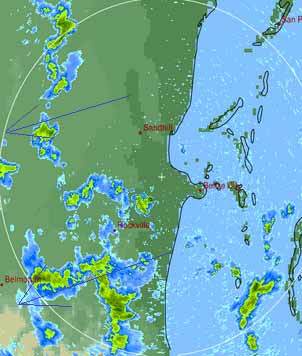 Increasing amounts and areas of clashing with the easterly chunky clouds causing bands of rain.